Unblocking certain geo-blocked websites is easier than you think. If you’re someone like me, who travels or lives in a country that has some sort of Internet censorship and wants to access all the sites, keep reading. One study by the Council of Europe found that censorship is on the rise in Europe. Another study by Freedom House found that global Internet freedom has declined for seven years straight now. We believe that a VPN is by far the most effective way to unblock access to any website of your choice. If you want a complete low-down on what a VPN is and how it works, our beginner’s guide to VPNs is the best place to start. Basically, though, VPNs allow you to unblock blocked websites and services by routing all your Internet traffic through a server that masks your Internet activity. In most cases, when an ISP or other authority appear to have blocked a particular website, they are usually blocking more than just a URL. 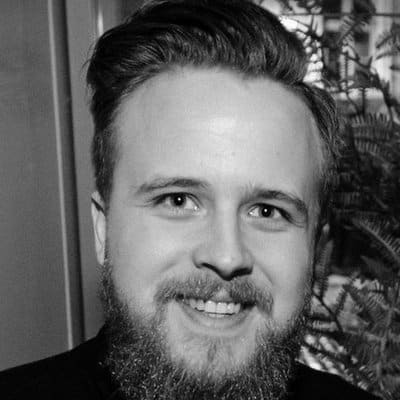 Sometimes they block ports, IP address ranges, and target other mechanisms that might be used to bypass their blockage. We prefer a VPN for unblocking websites because, if a connection is successfully established to the VPN network, it bypasses all the mechanisms put in place to restrict your access to blocked websites. With a VPN, a secure tunnel is created between the device you are connecting from and the VPN server, and all traffic on your device goes through this tunnel. Since your traffic now goes through the VPN tunnel, you automatically bypass all restrictions placed by your ISP — including the ability to access blocked sites. 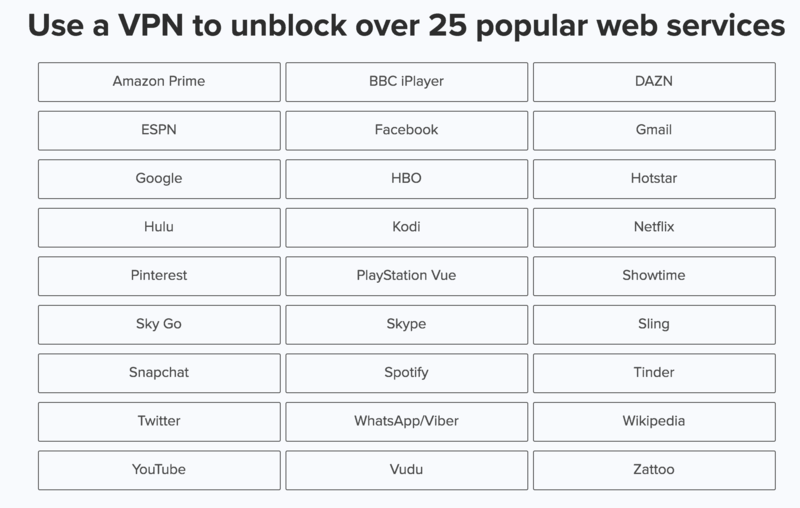 Your ISP, no matter how much they try, are unable to see what sites you access; so not only do you unblock the sites they blocked, but they wouldn’t even know that you have been able to unblock these blocked sites. While we’ve reviewed over 70 VPNs on this site, some of our top recommendations for securely unblocking blocked sites are NordVPN and ExpressVPN. It helps prevent websites from gathering information about you and tracking your activities across the Internet. It allows you to download files anonymously on the Internet — either directly, through torrents, or through peer-to-peer networks. It allows you to stream blocked content and use services such as Netflix even if you are not in a location allowed by that service. We have a list of best VPNs for Netflix that you can start with. It prevents you from being a victim of hackers — since your IP address is masked and replaced with that of the VPN, it is impossible to hack you as the VPN server becomes the target of the attacks instead. As indicated by our case study revealing how online retailers use location information to artificially inflate price of products and services, a VPN allows you to get the best offer by appearing to shop from any location of your choice. Sometimes, when it appears as if access to a particular website has been blocked by your ISP it could be that only the URL of the site has been blocked. In other words, you can still access the site by using a means that does not involve the URL (i.e. by directly visiting the site’s IP address). So what’s the difference between a URL and an IP address? Basically, a URL is the direct link to a website including its protocol identifier (http:// or http://) and the domain name (example: google.com). Now, while you could access google.com through its URL at https://google.com, you could also directly access it through its IP address at 173.194.223.99. So instead of typing www.google.com in your browser address bar, you simply type 173.194.223.99 and the outcome is the same. In situations where the URL https://google.com has been blocked but the IP hasn’t, you will be able to bypass the block and access the content. You can do this for any other website you suspect has been blocked on a URL-only level. 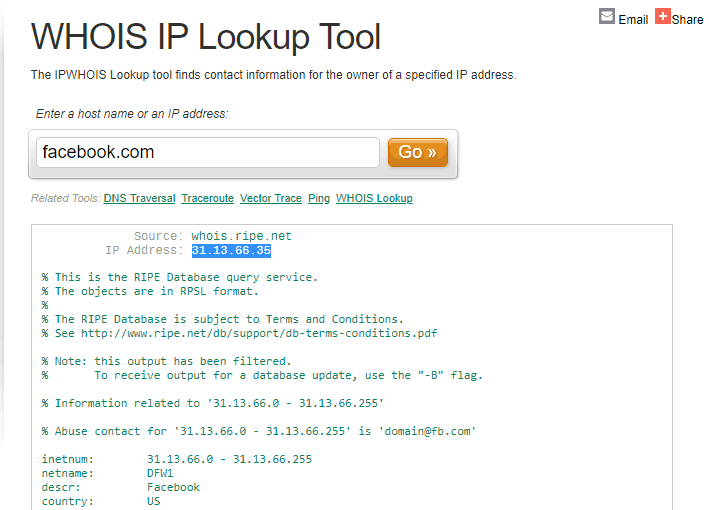 Simply locate the site’s IP address by using the Whois tool by UltraTools. Type the website URL in the box provided and it will return the IP. What we really need is the IP address: 31.13.66.35. Visiting this in our browser address bar takes us directly to Facebook’s website. Sometimes, however, this method doesn’t work: for certain websites, like ours, direct IP access is disabled. For others, like Youtube, they are powered by IPs that do not necessarily take you to the website; Youtube’s IP address takes you to the Google homepage. In situations like these, the other methods in this article will work. When you need to access basic content that do not require any kind of login or database processing, Google cache — or the cache of any major search engine — can be a faster way to access blocked websites. In order to more effectively serve results to users of their service, Google and other major search engines offer a cached version of most pages they index. Simply type the name of the website in Google, then click the down arrow beside the site URL in the results page, and click on “Cached” to access the cached version of any content. Bing and other major search engines provide a similar feature. If the site you are trying to unblock is not available in Google cache, or Bing cache, or the cache of other major search engines you know of, you can try changing your computer’s DNS settings. You can also bypass restrictions put in place by your ISP by changing your DNS address. By doing this, you will be able to unblock websites that they have blocked and access websites allowed by the DNS address you are using. This resource by Google shows you how to change your DNS address — in Windows, Mac, Linux, routers, and mobile devices — and configure it with Google’s. Most of the above web proxies can be used to unblock most blocked websites, including HTTPS websites. Many of these proxies also allow you to use different servers to unblock websites — including servers in the U.S and Europe. On the surface, the Tor network looks similar to a VPN. Especially considering that your traffic is routed through the Tor network just like with a VPN, Tor is more decentralized and less reliable for unblocking websites compared to a VPN. While Tor provides more anonymity compared to a VPN by ensuring that your message is encrypted and routed through random servers on the Tor network, it can be very slow and is incompatible with a lot of devices because it is free. If you use a PC and need to unblock websites, however, Tor would work just fine for you. You can download the Tor browser here. You can also read our comparison of the Tor network vs VPNs to educate yourself on the differences between both. Step 1: Download the Tor Browser. Step 2: Check the GPG signature of the Tor Browser you just downloaded to make sure you have the proper file (you can do that by following the instructions here). While this step is optional, it is recommended. Step 3: After verifying the GPG signature, install the Tor browser. Step 4: After installing the Tor browser, you will see a folder called “Tor Browser”. Open that folder and you’ll find a file called “Start Tor Browser”. Click on that file, click “Connect,” and you are good to go. Step 5: To confirm that your IP has truly changed, you can visit Whoer.net to see what your actual IP address is. Step 2: Enter the website you’d like to visit into the translate box and choose any language other than English (even if the website’s language is English). Step 3: Click on the link in the translate box and let Google help you unblock the blocked website automatically. 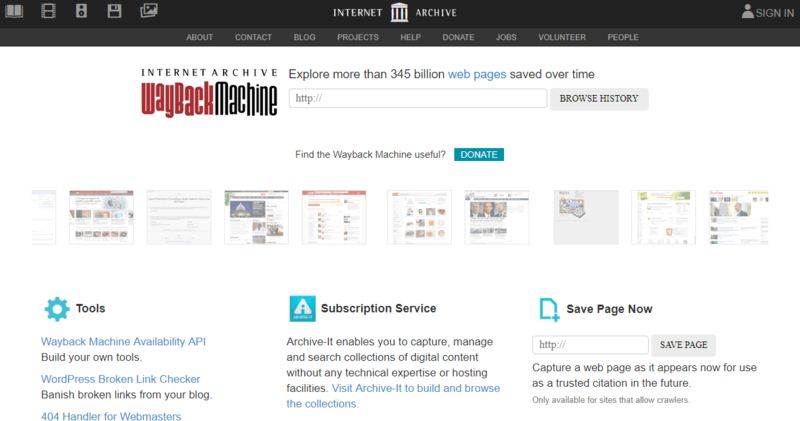 You can also unblock websites by using the Wayback Machine offered by Archive.org. The Wayback Machine regularly indexes versions of almost every website in the world, while also making it easy to see content through its caches (old versions). The only downside to using the Wayback Machine is that it might not have the latest version of websites and might not be able to help if you’re accessing a website that requires a login or that processes databases. That said, it can come in handy for unblocking informational websites that aren’t updated every day. Step 2: Type the URL you want to unblock into the box provided and press the enter key on your keyboard. Step 3: Select the latest date from the option provided to access the latest available version of that website in the Wayback Machine index and you’re good to go! As you can see, unblocking websites is easier than you think. Whether you live in Turkey, China or just travelling the world, it’s wise to get access to all of the websites on the web and not be a part of geo-blocking. Relying on governments to act in good faith and keep every website accessible to their citizens based on the tenets of democracy will always end up in futility. The above are some of the most effective ways to unblock websites you’ve been blocked from accessing. If you have some money to spend, consider getting a good VPN that is fast, works well and unblocks the website you want to visit.